It lacks features that are standard in other PC headsets. Oh boy, the Polk 4 Shot is a bit of a nightmare to review. 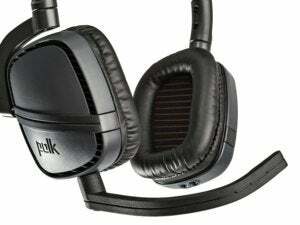 Here’s a headset that was designed first and foremost for the Xbox One, featuring not one but three different microphones, and it’s one of the first gaming headsets for a company traditionally focused on general consumer audio. And yet the Polk 4 Shot is one of my favorite headsets this year, despite the fact that the score’s not going to reflect that. I’ve even taken to wearing it as one of my day-to-day headsets, which I never expected. To be honest, there are a lot of things holding the 4-Shot back from gaming excellence. First of all, there’s that pesky “designed for the Xbox One” thing. All three of the detachable cables intended for the 4 Shot terminate in an all-in-one microphone/headphone jack. That’s fine for phones or certain laptops, but most PCs split the microphone and headphone jacks. You’ll need to buy an adapter in order to take full advantage, if that’s your situation. 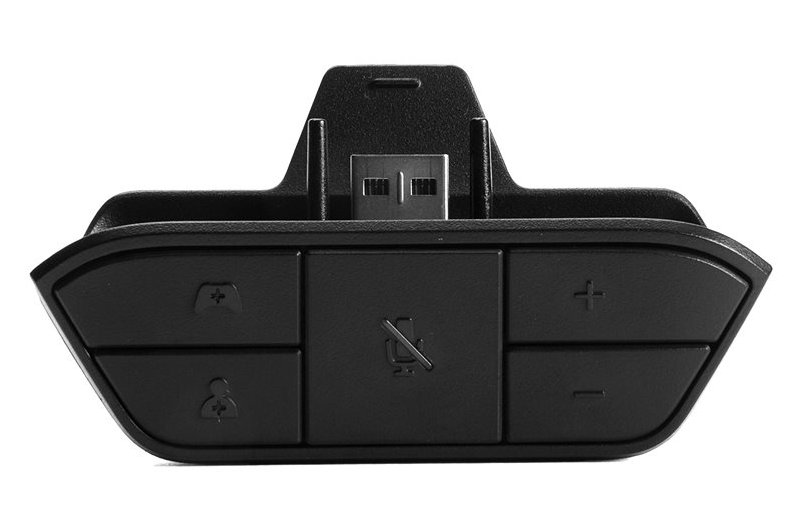 The Polk 4 Shot comes with this Xbox One adapter which PC users can remove from the packaging and promptly throw in the trash. Or sell on eBay. The 4 Shot’s also a tiny little thing. The earcups tend to press on my ears a bit unless they’re in the exact right position, and the slim size means that the 4 Shot lacks directionality, even for a stereo headset. Put this up against a decent surround-enabled headset or even the Mionix Nash 20 and you’ll immediately notice how much harder it is to pinpoint sounds. And there are no in-line controls on any of the three cables. Well, that’s not entirely true—on the cable intended for phones you get a single button to answer calls with. But there are no volume adjusters or mute buttons, because this thing is intended to be used with the included Xbox One chat adapter which builds all those things in. Except, of course, you’re using this with a PC so the Xbox One chat adapter is useless. It’s a real shame the 4 Shot wasn’t designed for the PC from the ground-up though, because it’s otherwise a fantastic device. First off, the design is extremely minimalist. It’s a tiny headset with little branding, meaning it’s perfect to wear out as a pair of headphones also. 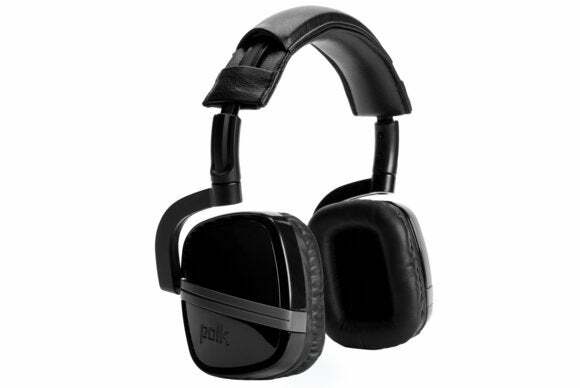 The ears swivel when you take the set off, and the hinges are metal which makes everything feel extremely durable. All in all, the 4 Shot looks more like street-wear than your typical gaming headset, which I like even if I’m rarely going to actually wear these on the street. The ears are a bit small, as I noted, but they seal against my head well and there’s barely any noise leakage. And while the original rubber cable isn’t much to write home about, the braided fabric cable of the free Chat Pro microphone is classy and high-end. Most of all, though, the 4 Shot wins points for having excellent sound. It’s not flat-response—there’s a bit of a bass boost. However, it’s nowhere near as overwhelming as other sets and as a result you get a very warm and inviting sound even outside of gaming. There’s a crisp high-end for gunshots and a decent low-end for explosions, but I’ve definitely enjoyed listening to music on these more than I’ve used them for games. Now let’s discuss the total mess that is the 4 Shot’s microphone situation. Originally the 4 Shot shipped with two microphones—an omnidirectional mic built into the left ear and an optional microphone for use with mobile phones. The omnidirectional microphone is flat-out broken. There’s no excuse for it, and there’s no reason it ever should’ve shipped in this state. The design is aesthetically fine, as it hides inside the left ear until you push to pop it out. However, it resides so close to the internal drivers that the microphone actually picks up more of whatever game you’re listening to than it does your own voice. I tried experimenting with the 4 Shot’s internal microphone by playing music at a moderate volume while talking. The result? I had to yell in order to hear myself over Bruce Springsteen. It’s garbage. Then there’s the mobile microphone, which isn’t much better. It picks up a ton of background noise, and your voice has a tendency to get lost in the mush. In other words, it’s a typical in-line cell phone microphone. To rectify the problem, Polk started handing out the Chat Pro microphone for free. If you’ve already bought a 4 Shot you can contact Polk and get one. If you’ve yet to buy a 4 Shot, I believe they’re now shipping the mic alongside the headset. The Chat Pro microphone is a huge step up. As I mentioned earlier, it features a braided fabric cable that terminates in a slinky, repositionable boom microphone. Voice reproduction is a bit bass-heavy and there’s some tape-hiss in the background, but this is a damn good microphone considering Polk is giving it away for free. My biggest complaint is that there are no in-line controls for muting and volume because, well, this thing was designed for the Xbox One. 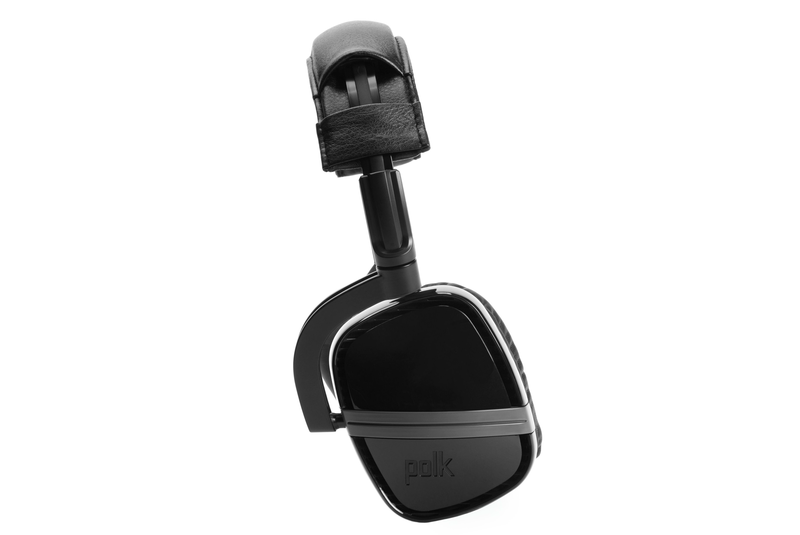 I love the Polk 4 Shot...as a pair of headphones. I’ve taken to wearing the headset especially while listening to music, with the Chat Pro microphone attached and bent out of the way. It’s honestly one of the weirdest hodge-podged headsets I’ve used though. It’s clearly not built for PC, and the original omnidirectional microphone is just bafflingly bad. With no in-line volume or mute for PC users, the need for a microphone/headphone splitter adapter, and the lack of decent stereo directionality, it’s honestly hard for me to recommend this headset to anyone—especially at its dazzling $130 list price. I really want a headset with the 4-Shot’s internals, but designed with PC in mind. It has a ton of potential. Polk nailed a lot of things that other headset manufacturers screw up. Polk just also screwed up a lot of basic things that other companies have perfected. Next time, maybe.